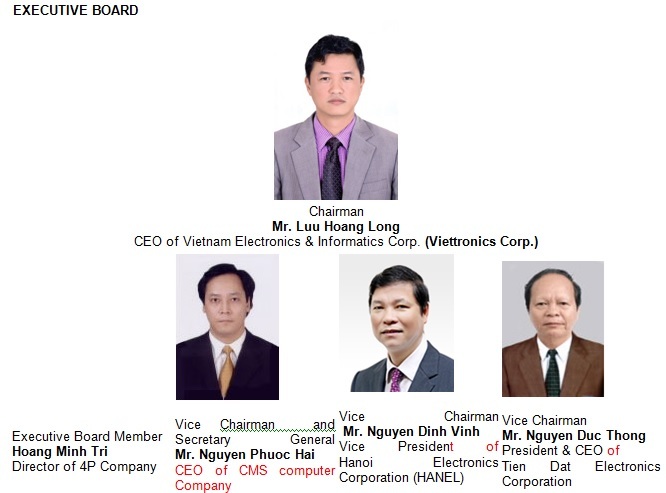 Vietnam Electronic Industries Association (VEIA) was established in June 2000 by a group of electronic manufacturers to meet the growing demand of industrial activities and promote the cooperation and the development of electronic industry in Vietnam. VEIA is a voluntary, non-profit and non-government nationwide organization. 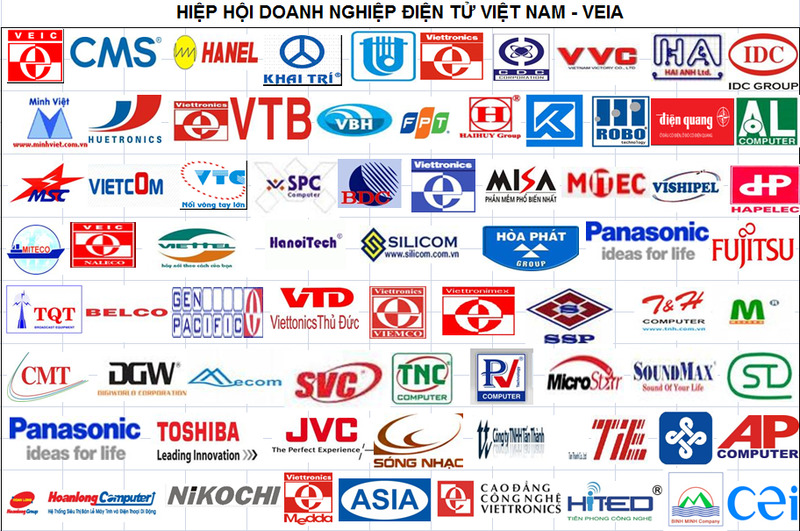 VEIA serves the interests of Vietnam electronic industry by representing domestic companies in working on the challenges and issues it faces. Recognizing the importance of the electronic industry in the national economy, the VEIA aims to help the electronic industry in Vietnam remain on a competitive edge through various local and international activities. VEIA also provides the confidence communications between the industry, its customers and the government. Recently, VEIA has 115 members, in which 104 regular members and 11 associate members, including companies engage in manufacturing, trading and service in the fields of electronics, information technology and communication. 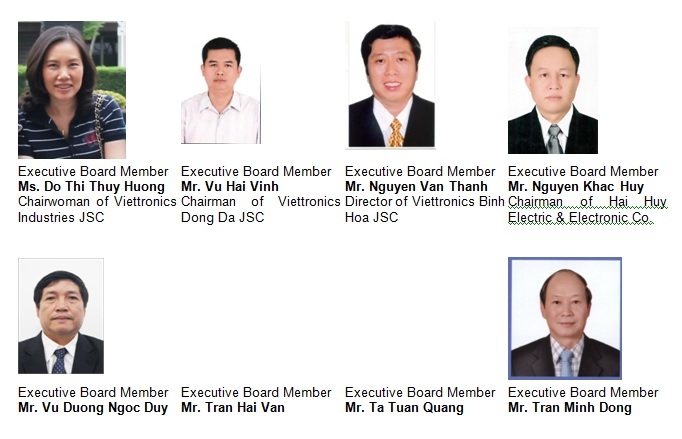 VEIA is an industry organization in Vietnam with activities covering both the electronics and ICT fields. VEIA also endeavors to build up constructive relationship between the local industry and corresponding international organizations. VEIA has closed relation and cooperation with many brother and sister associations in the world. VEIA also is a member of main international organizations in electronics and ICT fields such as ASEAN Electronics Forum (since 2003), Asian Electronics Forum (since 2004) and World Electronics Forum (since 2009), which helps to demonstrate VEIA's role as the perfect bridge between the electronics and ICT industry in Vietnam and the global electronics industry. To provide suggestions to the government on industrial policies. Establishing and maintaining relationships with various government authorities in the framework of communication and cooperation of interest to the industry such as consultation with the Government in formulating policies affecting the industry and keeping members informed of government policies. Interacting with overseas industry associations through the arranging and participation in international conferences and related events. Implementing joint activities with foreign organizations to exchange statistics and information, provide technological support; dispatching and receiving trade and industry study missions. Collecting, evaluating and analyzing information and statistics of the industry. Publishing and distributing reports and reference materials on topics such as trends in the world and Vietnam electronic and ICT industry, production forecasts and technological developments. Hosting exhibitions, lectures, seminars and provide training for skills upgrading. Contributing and assisting the Government in the standardization of locally manufactured products on accordance with internationally standards. Endorsement of Certificate of Quality and Certificate of Origin (C.O). Supporting research and development related to both electronic and ICT fields and promoting new products using advanced technologies. Organizing visits from foreign trade and investment delegation and expansion of export of electronic and ICT products. Providing a matchmaking place for its members to meet, discuss and exchange views of common interest, to disseminate relevant information to members and to foster fair and healthy competition among its members in an atmosphere of friedly association and mutual understanding. All members of the Association are represented at this assembly to discuss and decide policies and important issues related to VEIA’s activities. 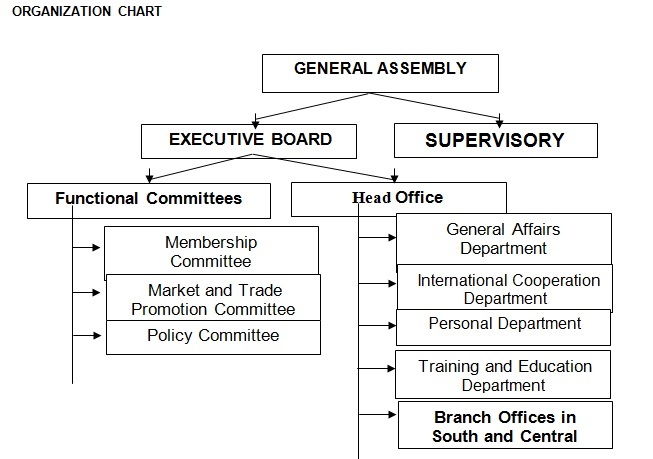 General Assembly meeting is usually held once for four years. The Executive Board is elected by the General Assembly, and serve for four years term. The Chairman, Vice Chairmen and Secretary General are selected through an election among members of Executive Board. The Executive Board is decision-making body responsible for practical operation of VEIA. In order to handle both internal and external issues in the industry related fields, functional committees have been organized under the Executive Board. The committees provide advices and suggestions as requested from the Executive Board and carries out the duties such as planning and organizing execution of the activities of the Association. Members may participate in the Committees by their voluntary choice. Secretariat to assist Executive Board and attend to the duties of the Association. Manufacturers and sales-service enterprises in the electronic and ICT fields registered in Vietnam and pay regular membership fee are eligible to send a representative to the Association with full voting rights. Theses enterprises having foreign capital more than 51% will enjoy associate memberships.